Description In the early morning, the air above the Bressanone Valley Basin is still very calm, and the view is clear. 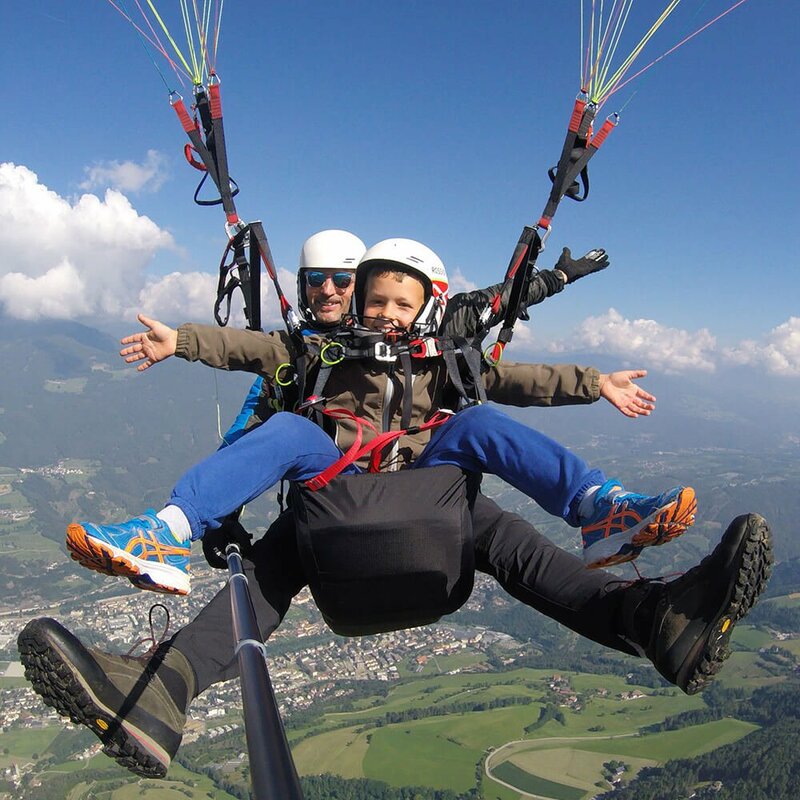 The ideal conditions for brave kids (Starting from the age of 5), who wish to start the day with an adventure. All prices include VAT. The cable car is not included in the price. 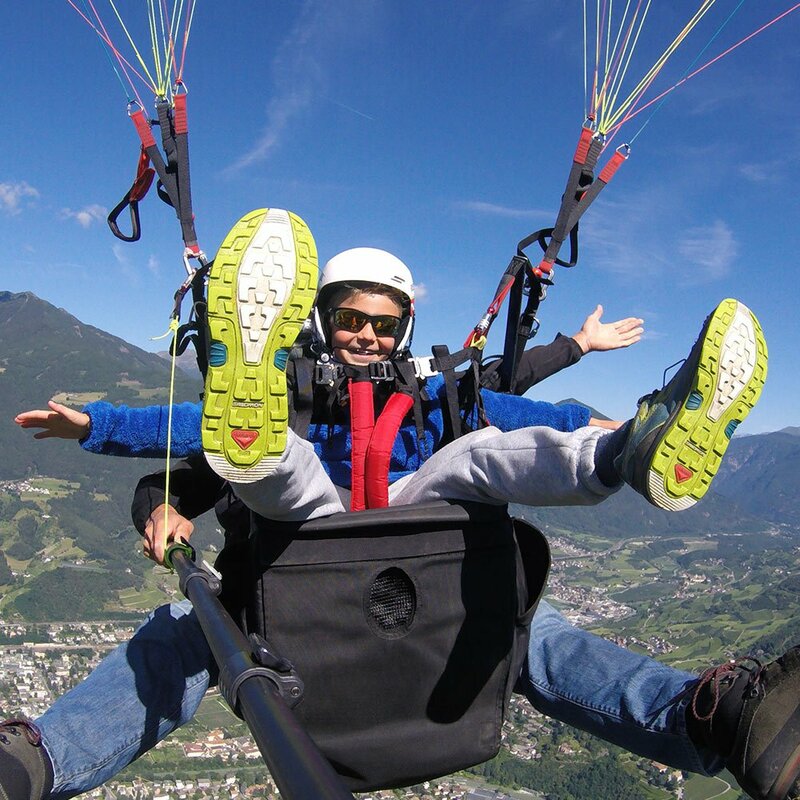 Description Beginners may enjoy the view of Mount Plose and the Bressanone Valley Basin during our relaxed paragliding flight "Trametsch". 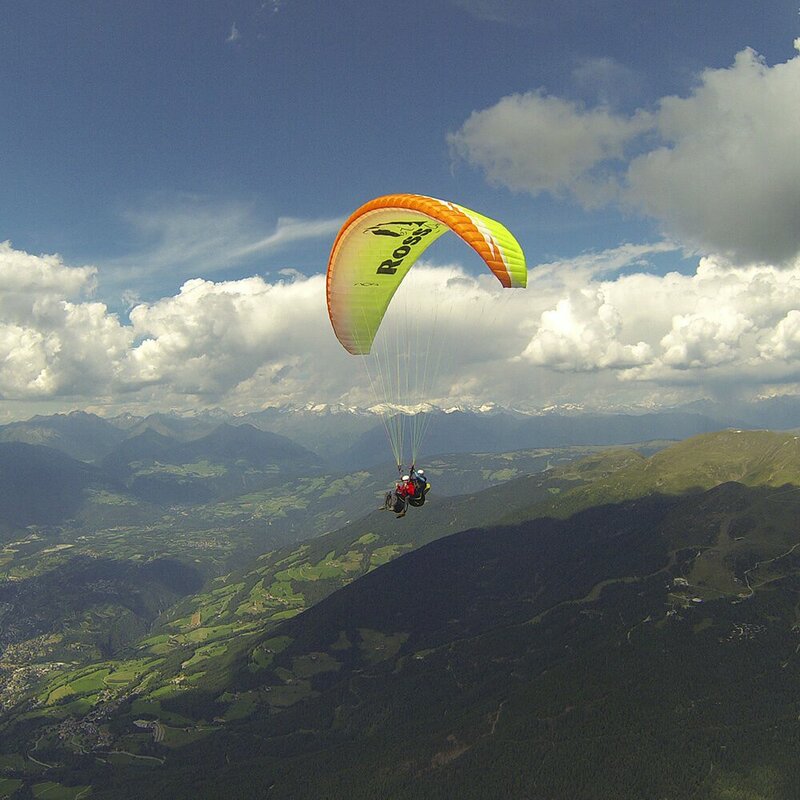 During this flight, we glide gently over Mount Plose. 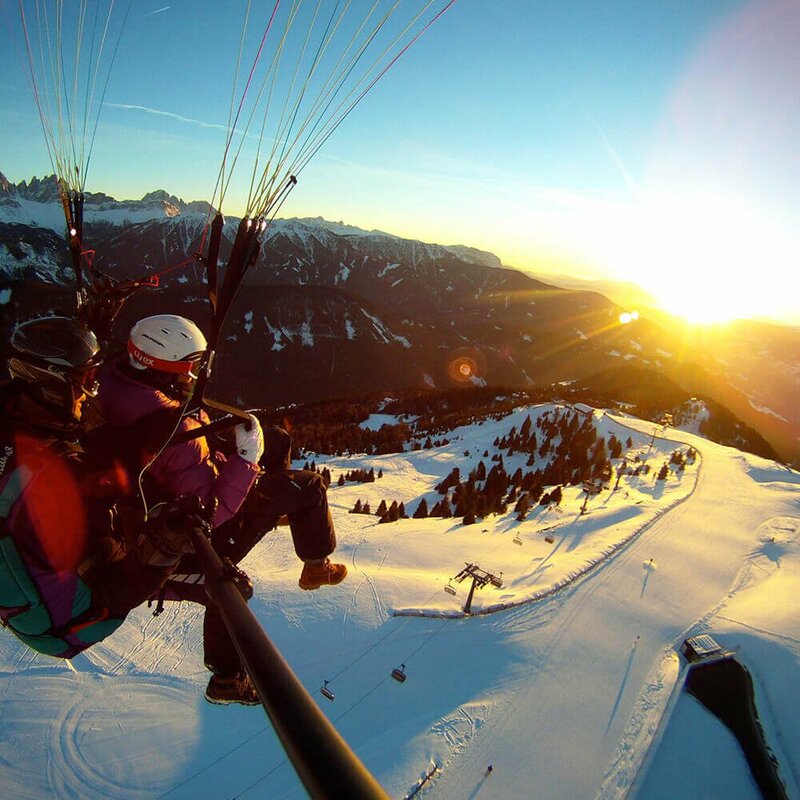 Description This paragliding tandem flight is the perfect choice for bold adrenaline junkies. 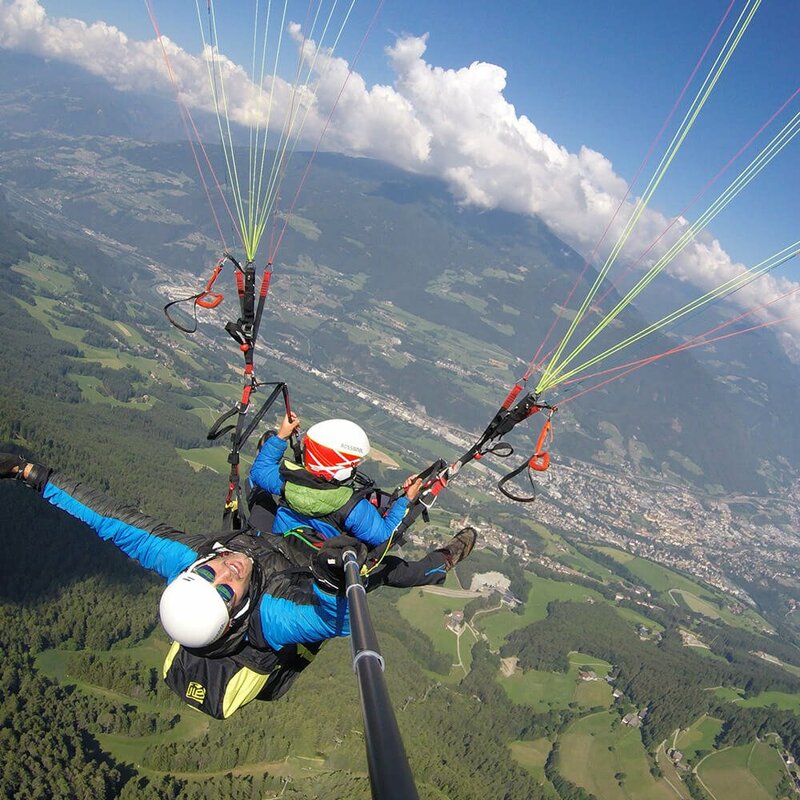 Our pros show the full set of their skills and fly, together with you, exciting figures. Not for the faint hearted! 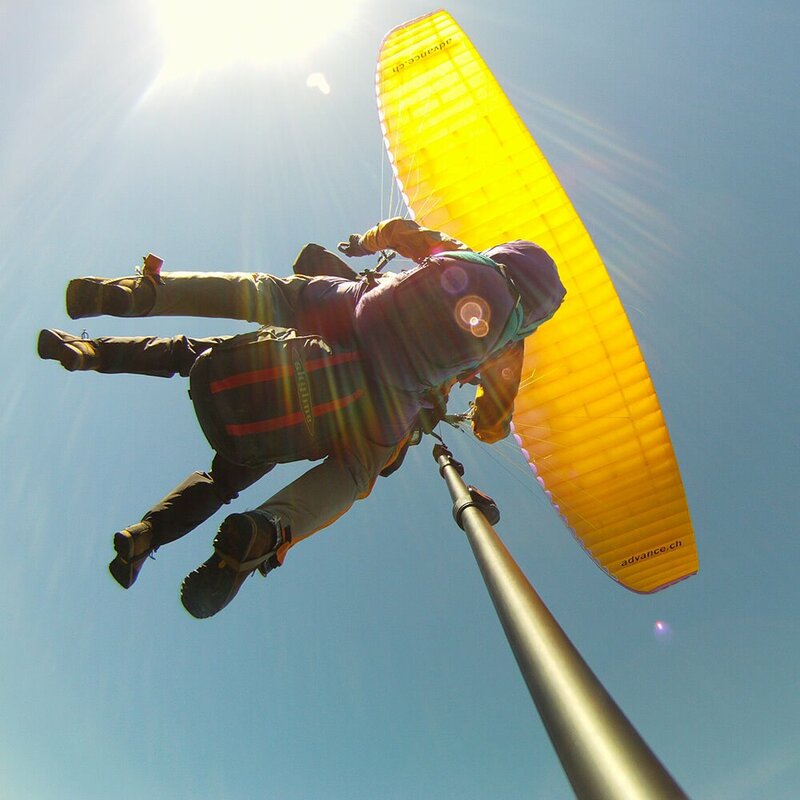 Description At lunchtime, strong thermals and valley winds provide a special type of flying fun. 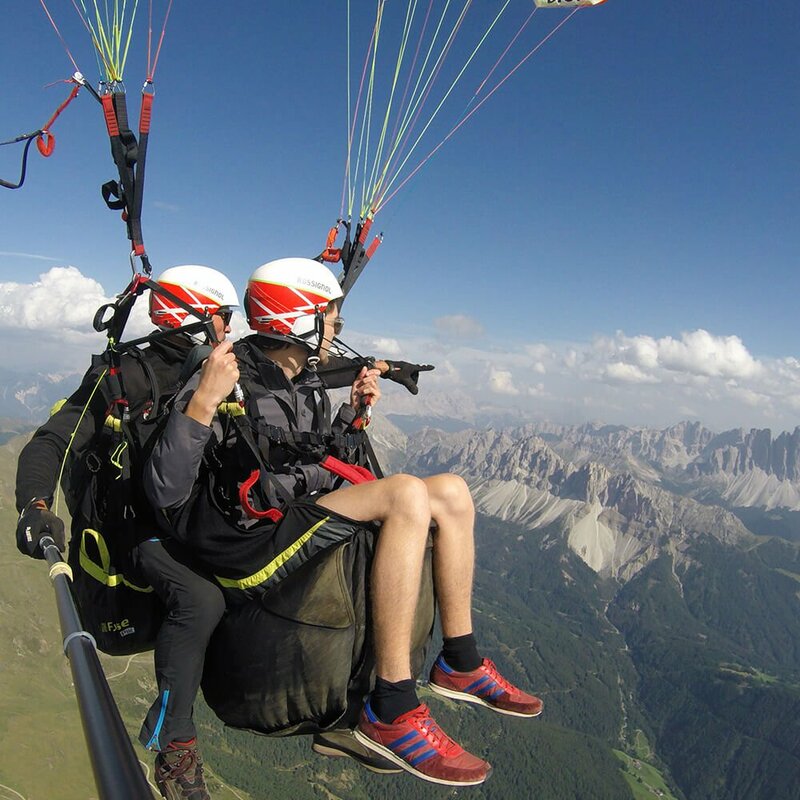 Let yourself be carried to great heights on this paragliding flight and enjoy a particularly long flight in front of the unique panorama of the Dolomites. 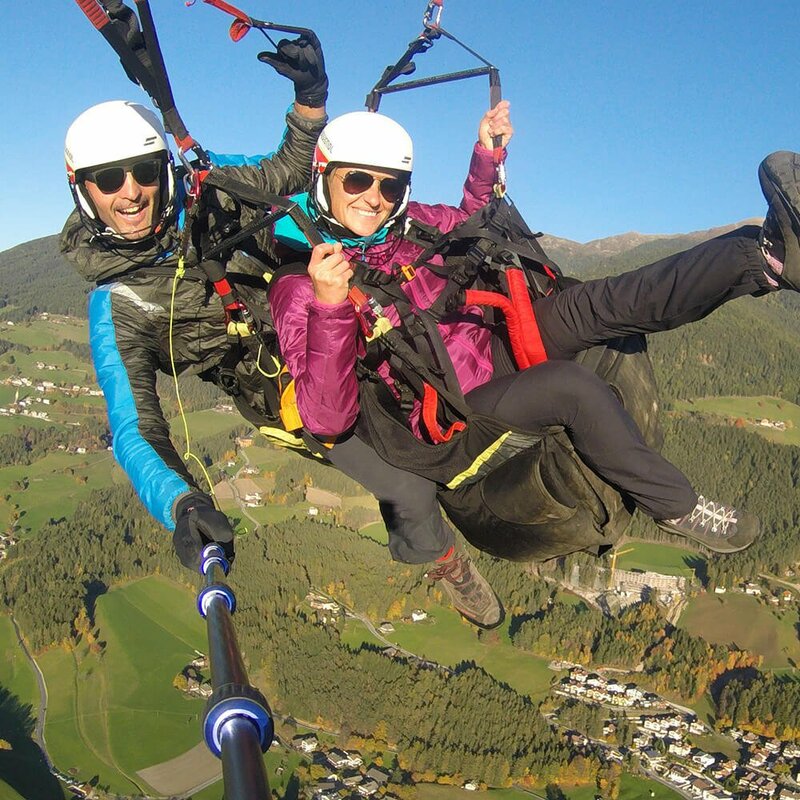 Description Higher and higher ... during this flight we rise to 3,000 meters above sea level and have the perfect view of almost the entire region of South Tyrol. 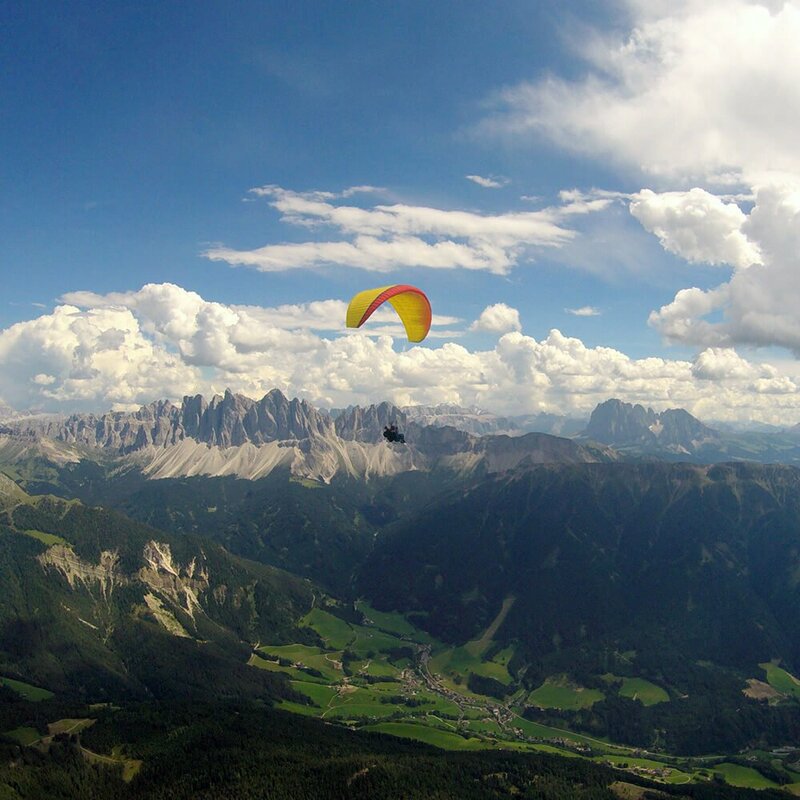 The Dolomites fascinate and enchant with their majestic splendor, the air is fresh and clear, and the feeling is overwhelming! 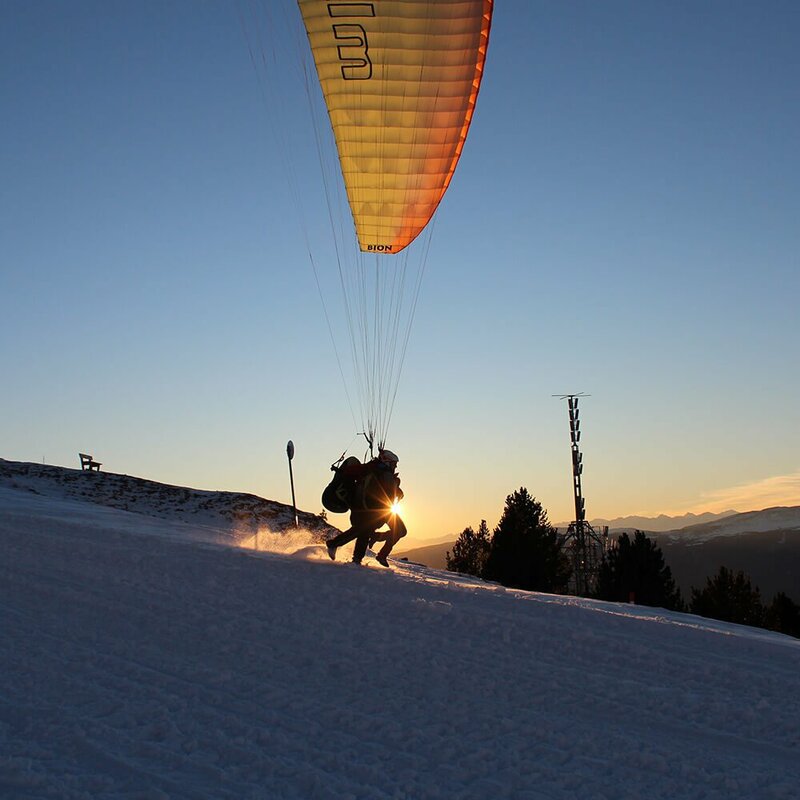 Description A paragliding flight in the winter allows unique views of the snowy mountain peaks with particularly calm thermals. In the winter, we start from Schönjöchel at 2300m and enjoy the panorama of the winter landscape on Mount Plose. 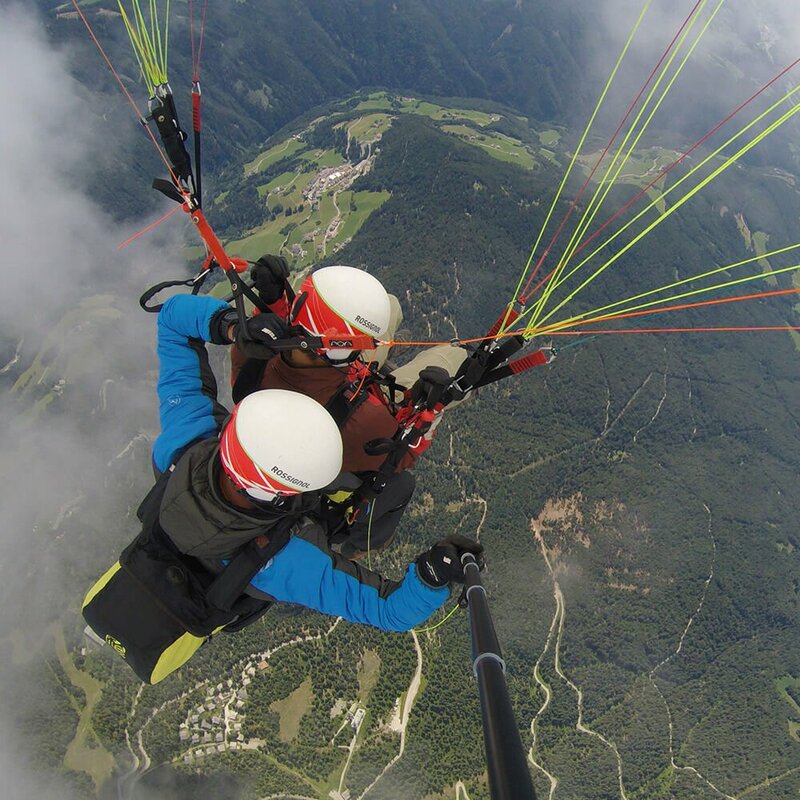 Would you like to re-live your flight again and again, or share the breath-taking pictures of your tandem paragliding flight with your family? No problem! 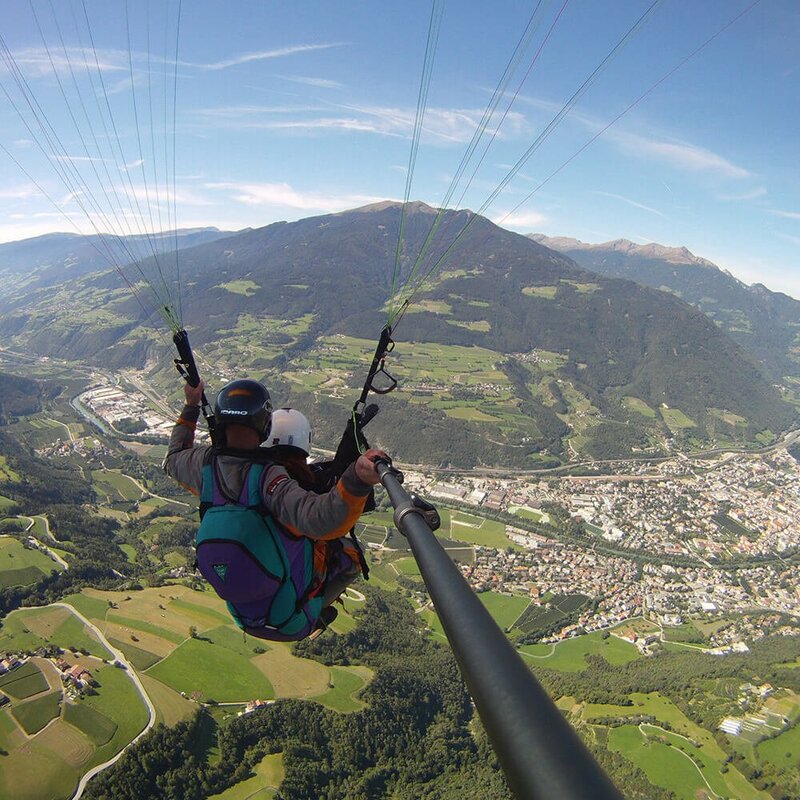 We are happy to take photos and videos in HD quality during your flight. This extra service costs only 25.00 € incl. SD memory card. After receiving your request, we will send you an e-mail with our bank details. After receipt of your transfer you will receive the payment confirmation and the voucher that you can redeem at any time with us.